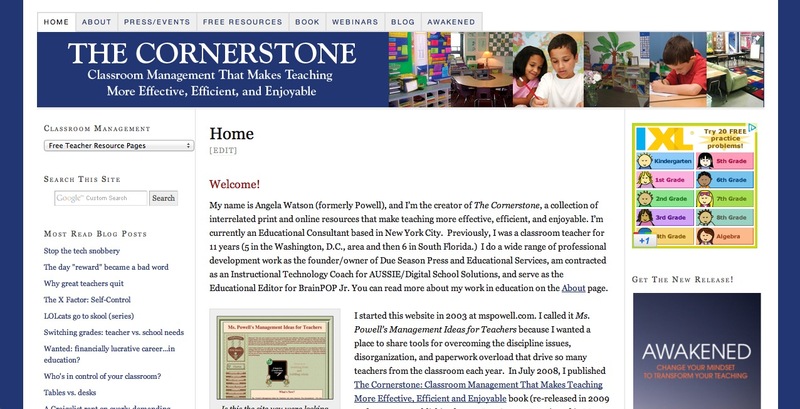 The Cornerstone Devotions for Teachers: Who's In Charge Here? 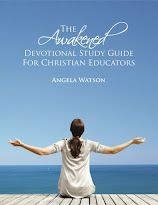 Have you ever purposefully turned your classroom over to the Lord? Sure, you’ve prayed to Him intermittently throughout the day (mostly when you felt ready to strangle one the kids!). You’ve probably encountered situations in which you were powerless and sighed, “Oh, well, it’s in God’s hands now. Nothing else I can do”. It’s certainly convenient (and scriptural) to turn problems over to God when we’re in the thick of them. But what if we take our faith to the next level and give a situation over to God before it even happens? A huge part of our identity as teachers is our leadership role, and we have a tendency to want to be in control of everything that happens. But as Christians, it’s critical for us to remember that while we may be leaders in our classrooms, we’re still servants of the almighty God. The Bible provides a great illustration of how to be both a leader and a servant in Joshua 5:13-15. Joshua was preparing his troops for the battle of Jericho. Of course, he had no way of knowing just how God was going to cause the walls to come crashing down- he went purely on faith. As they waited, a man came up to Joshua and identified himself as ‘commander of the army of the Lord’. Joshua immediately fell facedown in reverence and asked, “What message does my Lord have for His servant?”. Even though Joshua was a great warrior who was in charge of leading all of the people of Israel, he knew who was in charge and called himself a servant of the Lord. What a wonderful example for us: to put aside our own agenda and pre-determined ideas about the next course of action and ask, What would the Lord have me do? Since most schools aren’t yet back in session, this is the perfect time to think about who you want to lead your classroom. We all know we’re not going to have a perfect year: there will be behavioral issues, paperwork overloads, and complaint sessions with coworkers. Why not decide now to put God in charge of everything that happens to you? As John Piper wrote in his book Taste and See, “As soon as we discover we have a problem, God has already been working on it and the solution is on it’s way”. Starting 2 years ago, I began praying a classroom dedication in August, and repeating it throughout the year whenever I felt discouraged or tired. I don’t make a big production out of it, and in fact, no one even knew I did it until now when I’m posting about it! I just pick a time when I’m alone and uninterrupted in the early morning and say a prayer, sometimes walking around and looking at each place in the room, or kneeling down behind my desk if I really feel the need to humble myself. It’s a very powerful and freeing thing to say, “God, this place is for YOU. I’m not in control, YOU are. Just show me what to do so that You can get the glory”. I hope that my prayer will inspire you to dedicate your classroom and work to the Lord as His humble servant so that He can give you the strength you need to serve as the leader He’s appointed you to be. Powerful and almighty God, You are so amazing! You’ve had a plan for these children since before time began, and you’ve always known that our lives would cross paths this year. Please give me the gift of discernment to understand their needs and how I can meet them. Show me everything I need to know to teach these little ones and develop the gifts that you’ve given them. Let my enthusiasm be evident every day, because my joy doesn’t come from having a perfect classroom, it comes from knowing You. Jesus you are ever-faithful and unchanging, and I pray that you would fill me with your strength and perfect peace each morning and carry me throughout each day. Put a genuine smile on my face and help me to be as patient and loving with these children as You have been with me. Remind me that this job is a privilege and that I am fulfilling Your call on my life by showing up in this classroom each day. Surround me with supportive, positive influences and help me to speak only truth and light so that my colleagues and supervisors will consistently see You in me. I dedicate this classroom to You: let Your name triumph over any negativity and may everything that happens here bring glory to Your name. I thank you for giving me Your holy Word so that I have a place to turn when I need to be uplifted. Thank you for filling me with the passion and enthusiasm that can only come from having ‘God within’. May Your name be glorified in everything that happens here as Your mercies are made new each morning. I just want to say thank you so much for such a wonderful website! I can truly see that you work extremely hard in your classroom. I am approaching my 8th year of teaching and each year I add something new to much classroom. I "googled" searching for classroom management and reading center ideas and stumbled on this site. A few minutes of searching turned into 6 hours of reading. "OH MY GOD!!!!" is all I can say. Thank you! I discovered your sight last mark break when trying to make my classroom better. You have helped so much. I am going to put this prayer up next to my desk. God has been challenging me to know Him more and go deeper with Him this year. I want to have this prayer come to fruition in my classroom. It is about HIM, not me and I want His class, not my own attempts at perfection. There is no perfect classroom but there can be a classroom bathed in prayer and seeking His glory. I am blessed to teach at a Christian school so I can even pray over our room each morning with the kids. Thanks for taking time to obey Him and post this prayer. Thank you forthe encouragement especially as our school is struggling with some serious issues to resolve. I love your words and thoughts and I say a prayer of Thanks to our dear Lord for you. What an awesome devotional! Even though I am not a teacher, I know that ever day and every situation can be given over to God - even in advance! 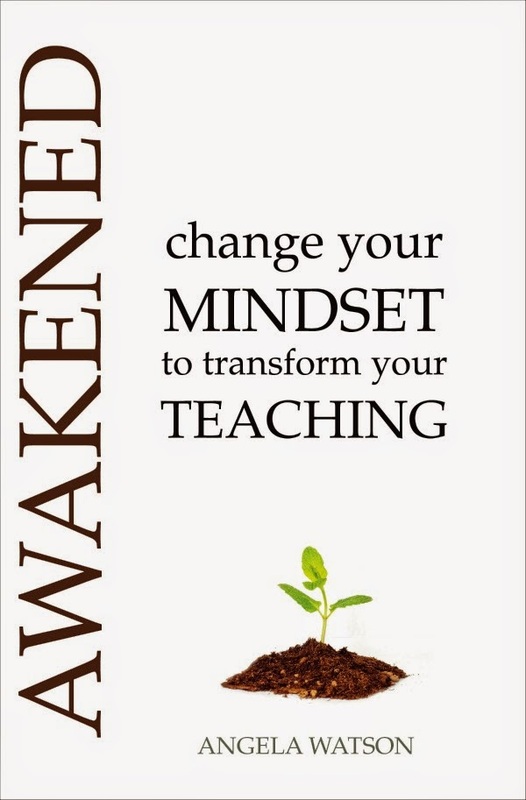 I pray that many classrooms would be changed this year from this devotional. Praise God for the changes others see in you! Mrs. Powell, I will be starting this year as a brand new assistant principal, so I won't have my own classroom. Your prayer is so powerful, I know that everything you ask God to do through you in your classroom can be applied to my new role and my new job. Thank you for posting it and sharing with those of us who are blessed enough to have found your site and your devotionals! God is truly good and showing through you. Dear Mrs. Powell, this year I will start a new job as an assistant principal in the elementary school I have taught in for two years so I won't have my own classroom. Your prayer is so powerful! The things you ask God to do in your classroom can be applied to my new role. Thank you for posting it and sharing it with those of us who have been blessed enough to discover your site. God is truly evident in you! How right you are... I want and feel the need to be in charge, everywhere! My classroom, my home, my life, my family... but I can't. It's not me, but God who is in control. And, I need to step back and let Him lead. I stay stressed with all I have to do, but I'm sure my life would be so much better and so much calmer if I would just give it up. Thank you for your website. Remember God is using you for good and this is such a great way to witness. I love coming to your site and receiving these uplifting reminders. God Bless you! What a wonderful prayer...and website! I have found your information so useful as I start school tomorrow! Wow, Angela, God bless you so much for this prayer and your annointing. I am so glad that God brought me to this page and that our paths crossed at this moment in my life. Your prayer went to the core of my heart and mind and i thank you for this. Next year is my first full time teaching experience. I will teach fourth grade next year. I am not anxious for God tells me not to be. This prayer is powerful. Thank you. I will use it throughtout the year. God will rule in my classroom and my students will be blessed everyday in Jesus name. We all will win in my classroom because of the Head teacher that is there instructing everyday, Jehovah-Gibbor.